Willy's two barrel carbs make much more power than stock, but retain the stock appearance and will pass tech. 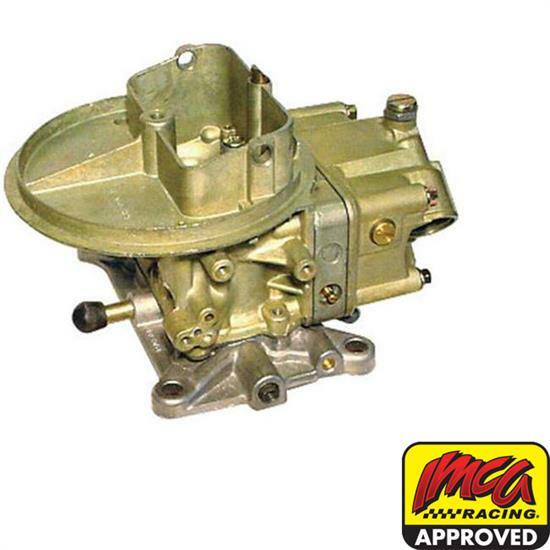 This 500 CFM 2 barrel carburetor has a 1-3/8" venturi and 1-11/16" throttle plate. It uses the standard Holley metering block. These 2 barrel carbs will pass tech gauges and produces great torque and horsepower. They are popular on NASCAR late models and are IMCA & WISSOTA Legal. This two barrel carburetor has "LIST 4412-2" stamped on it, and looks stock.